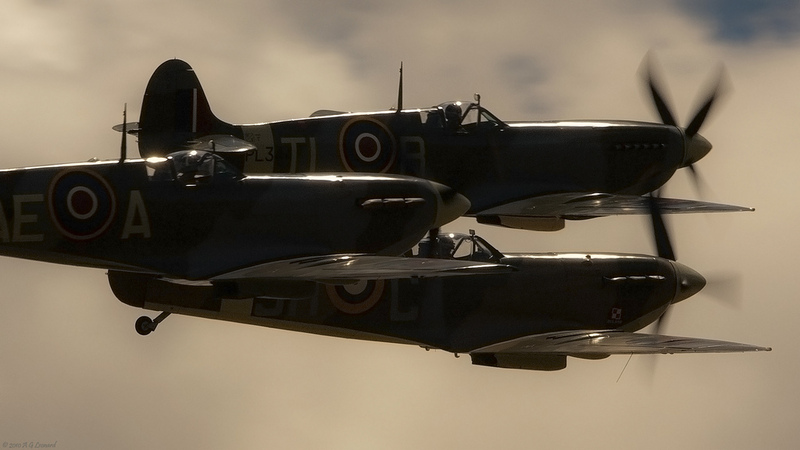 Held annualy in July, Duxford’s Flying Legends firmly holds its position as the greatest warbird show in Europe. This year’s edition attracted over 50 vintage aircraft, including Hawker biplanes, Breitling Stearmans, Battle of Britain Memorial Flight, with their Lancaster, Hurricane and Spitfire, Westland Lysander, Gloster Gladiator, the Yaks, the P51 Mustangs, a gaggle of Spifires, a Seafire, Sea Fury and many more! A few moments of the show are shown here through photography of A G Leonard. Thanks a 1000 times for sharing these high quality shots with us, must be among the best warbird pictures I have seen to date.